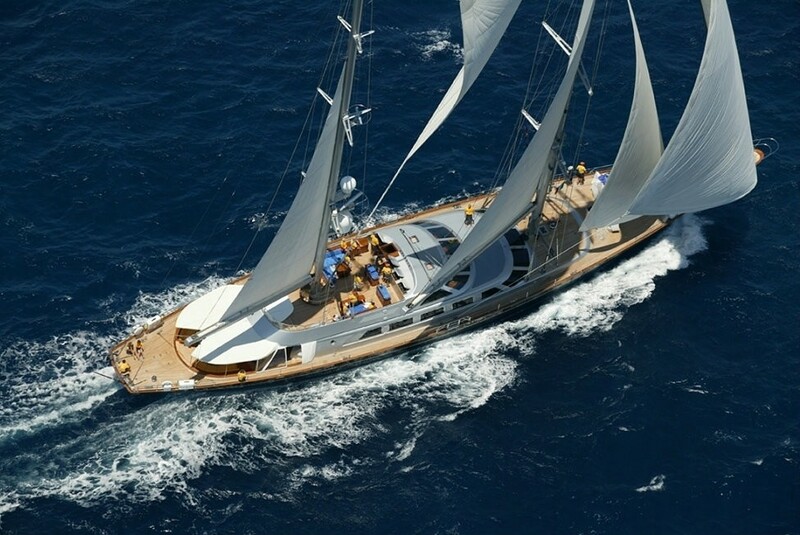 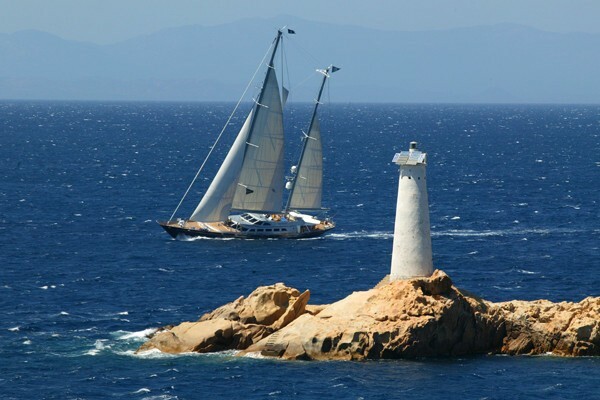 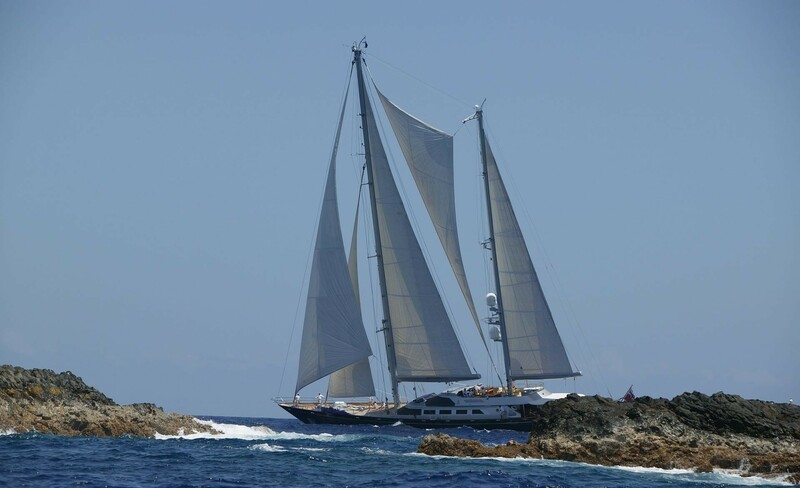 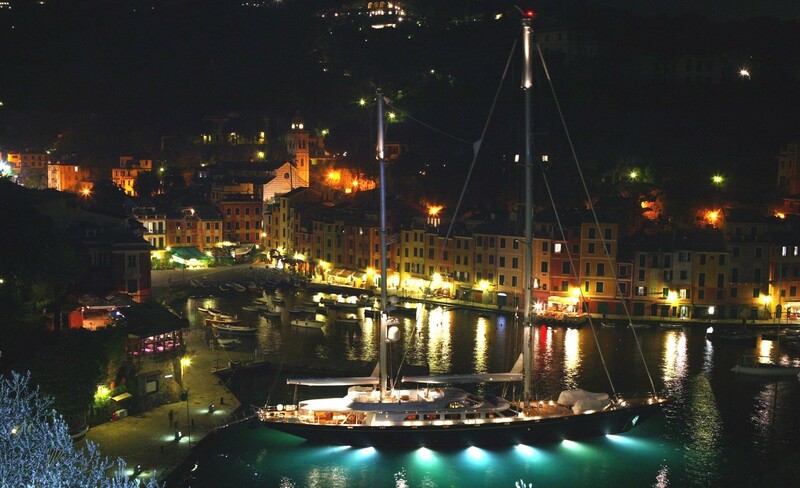 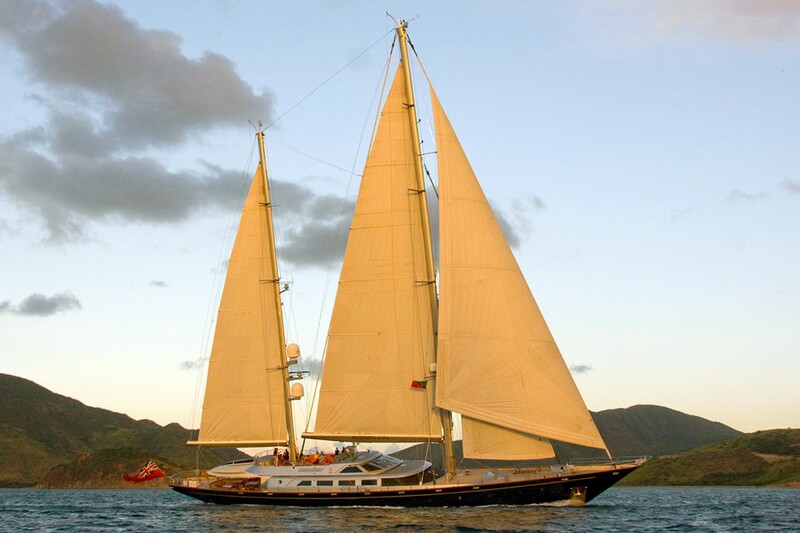 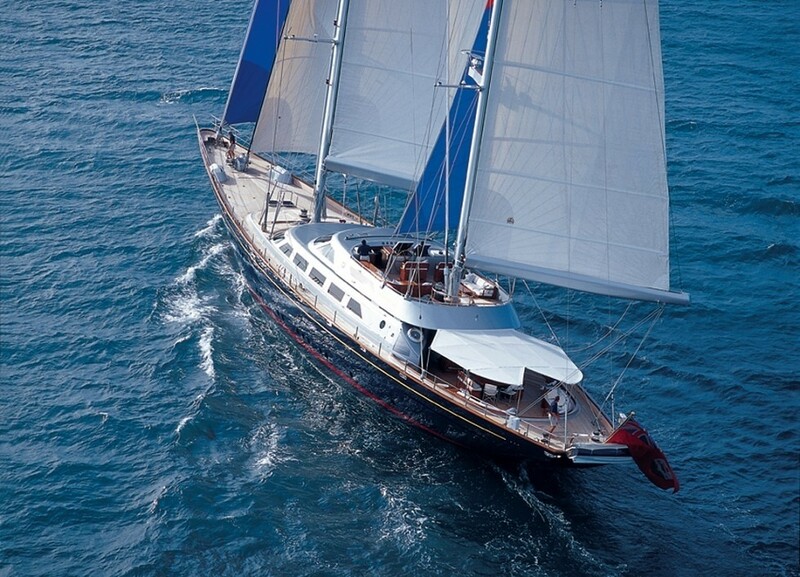 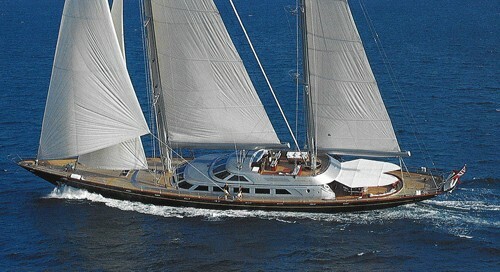 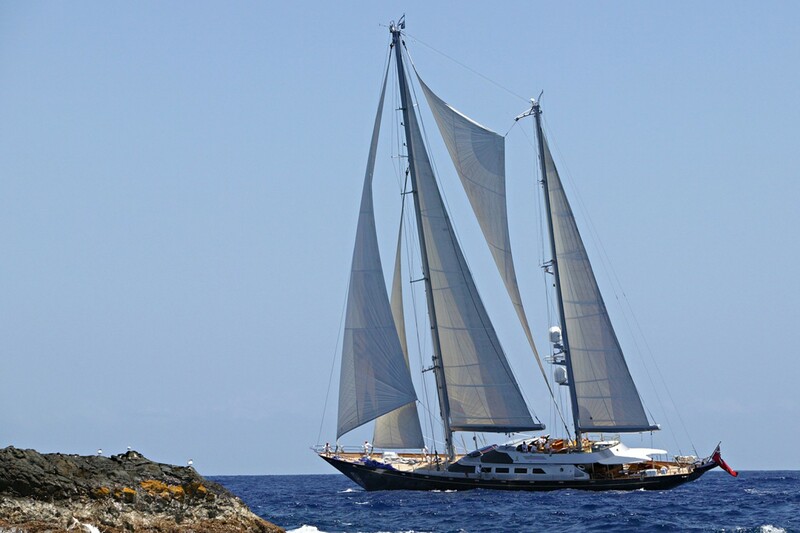 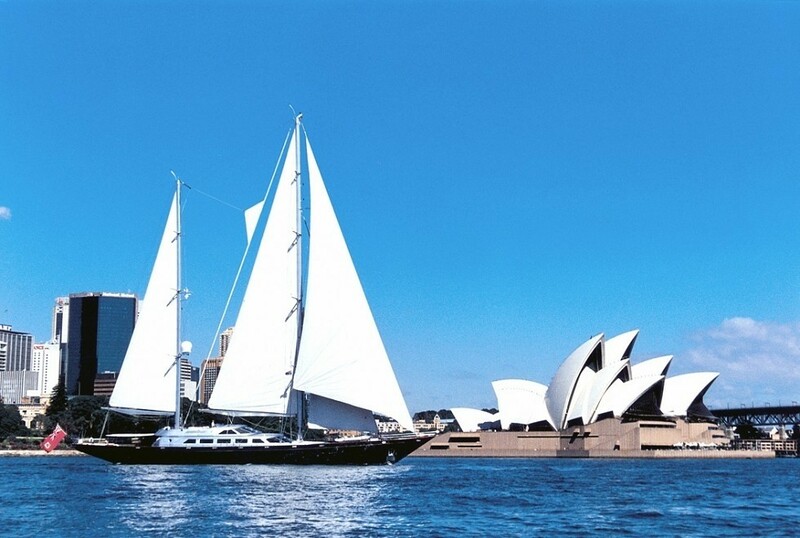 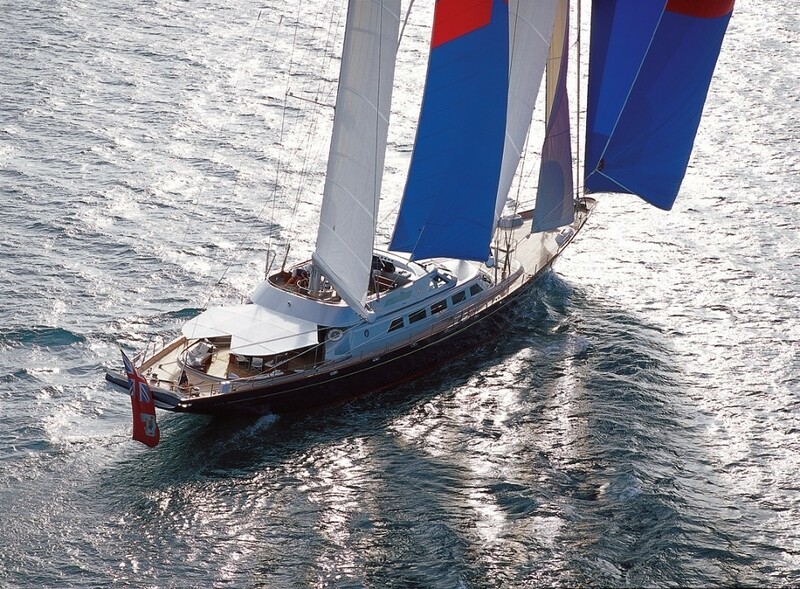 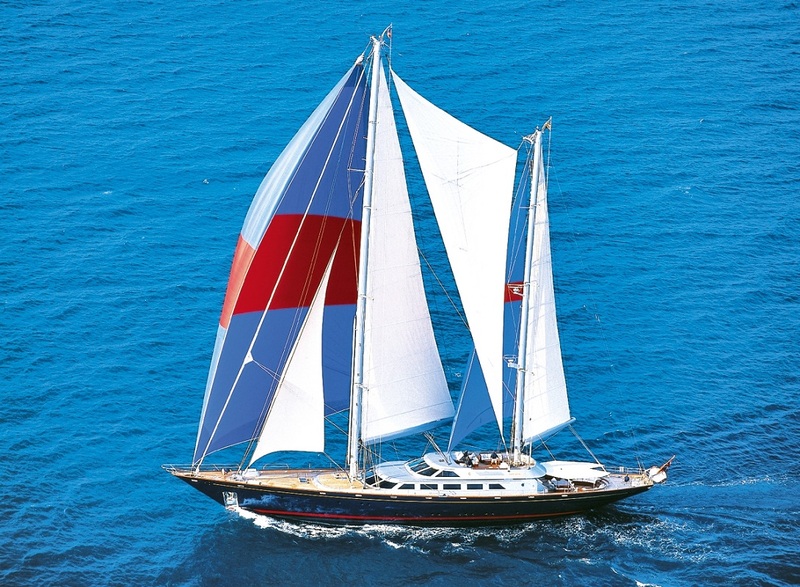 ANDROMEDA LA DEA is a sailing yacht that measures 47m and was launched by Perini Navi in 1991. 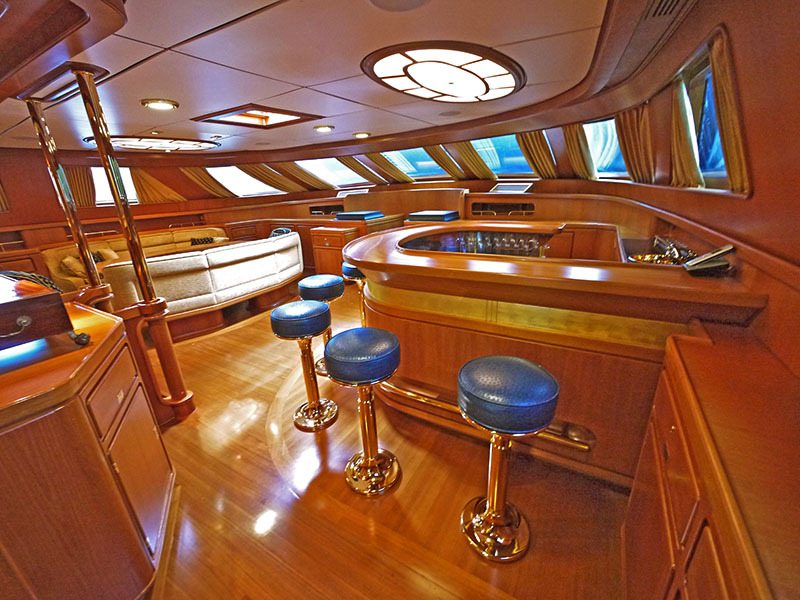 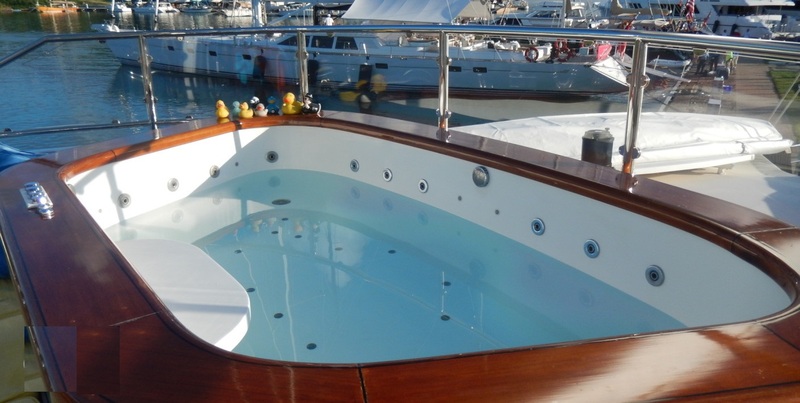 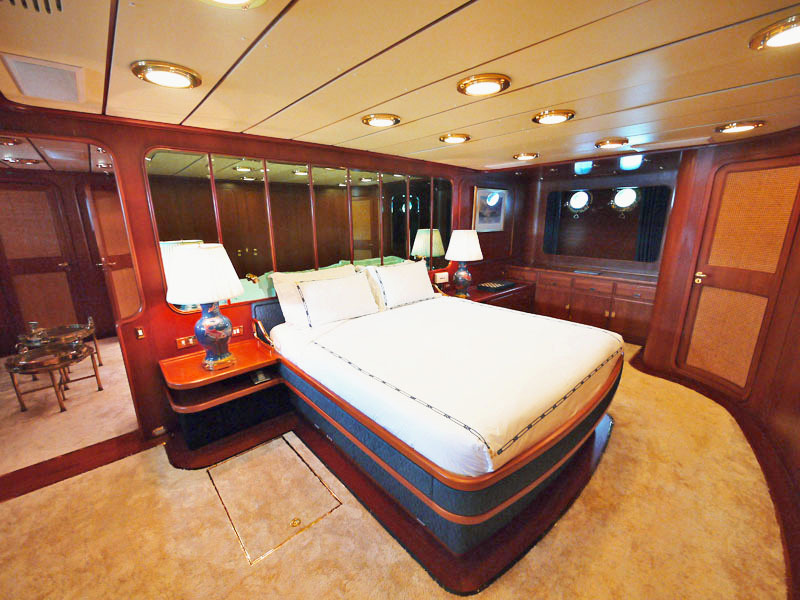 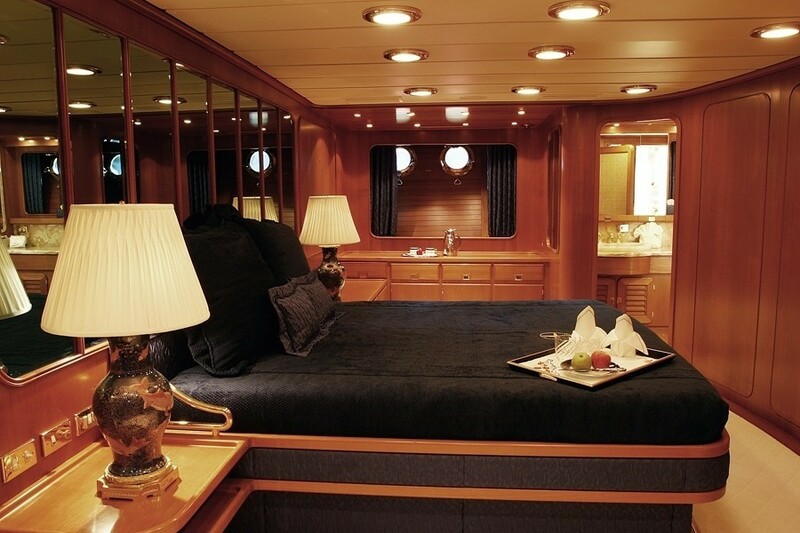 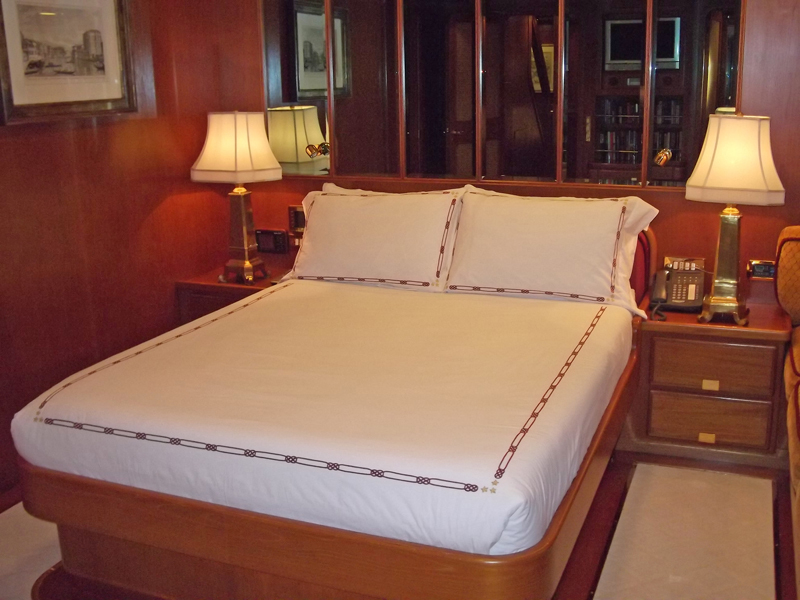 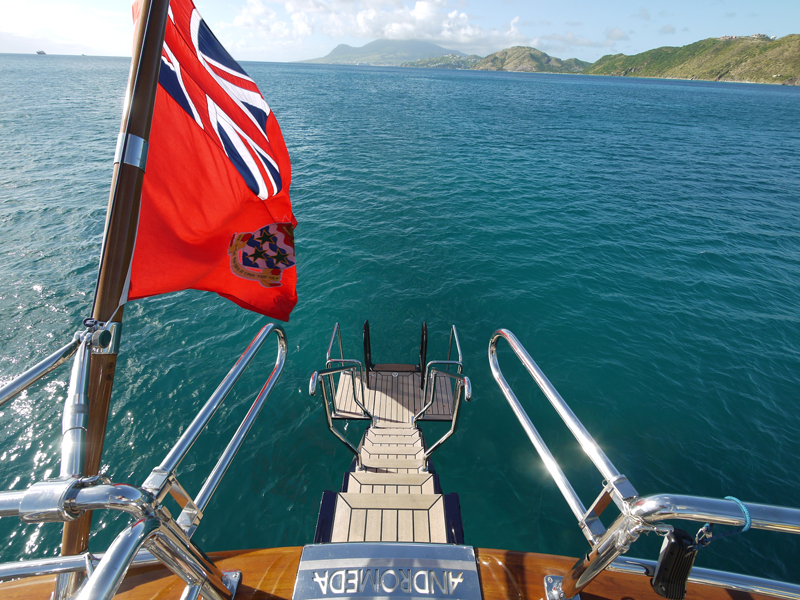 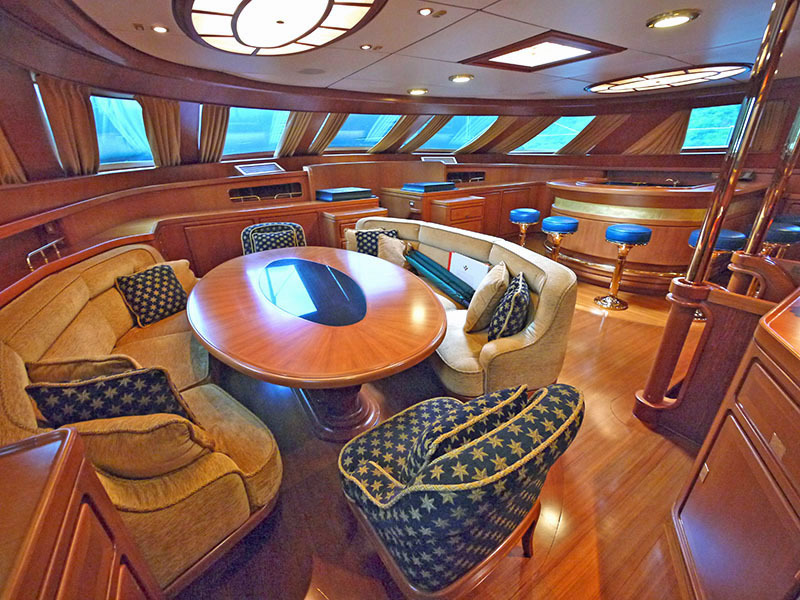 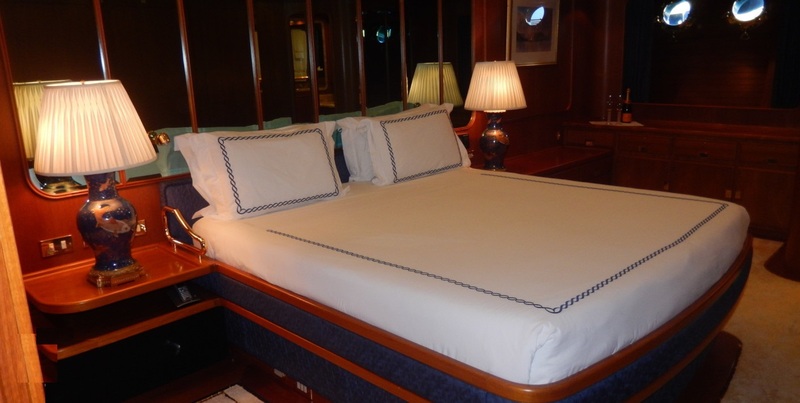 She has been regularly refitted and maintained and can accommodate up to 9 guests in 4 well appointed cabins. 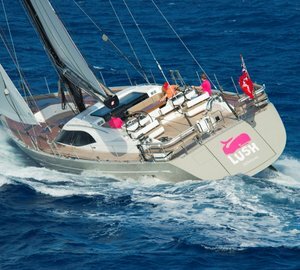 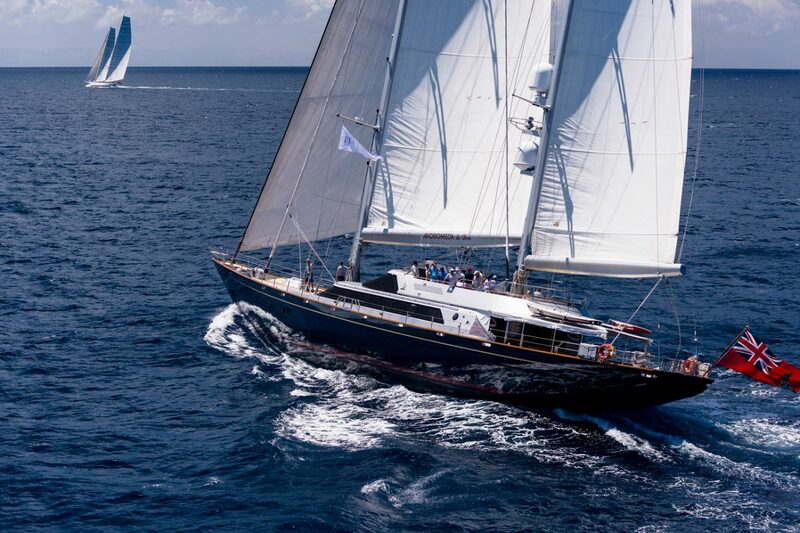 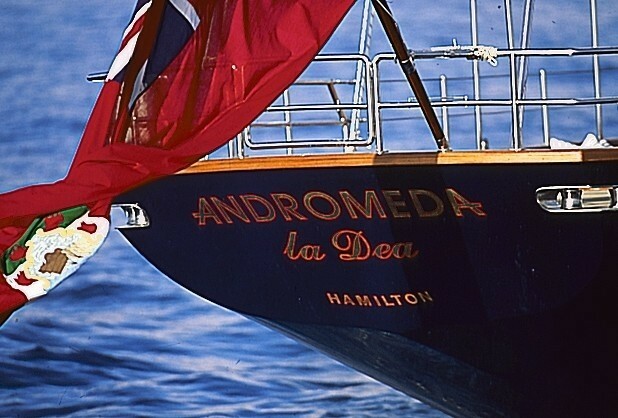 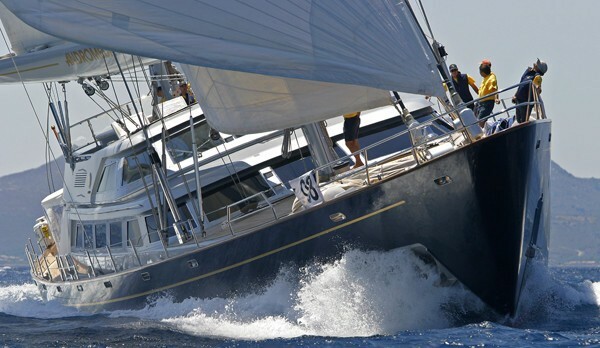 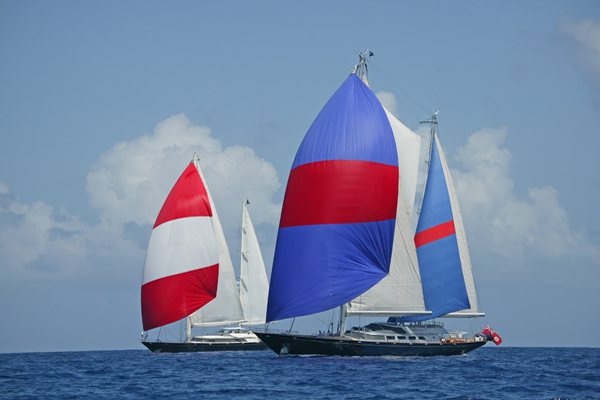 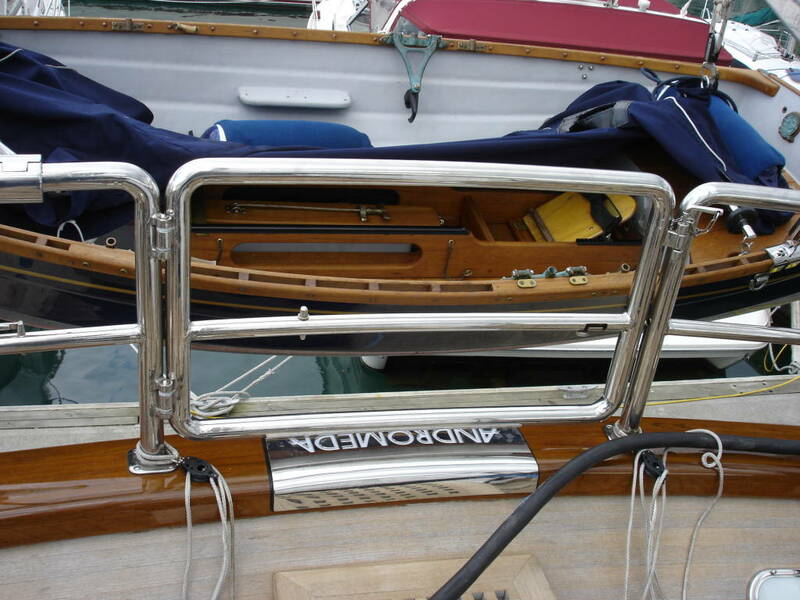 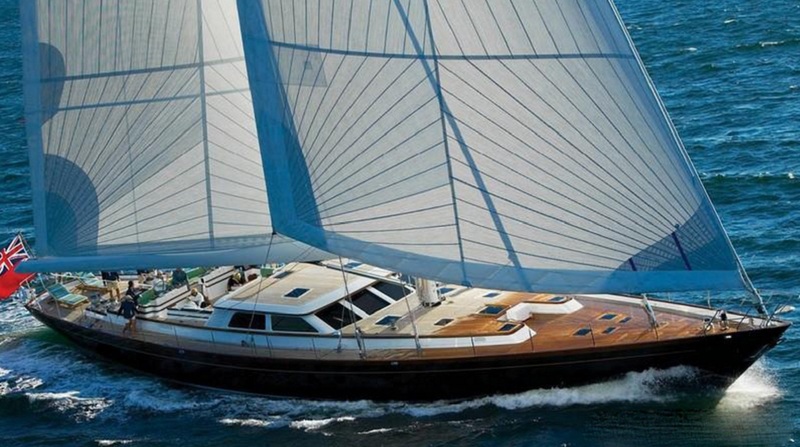 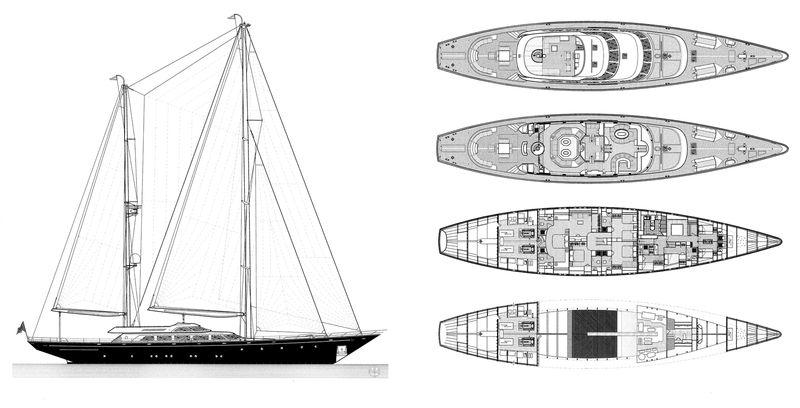 ANDROMEDA LA DEA is nothing short of a modern day legend in the sailing world. 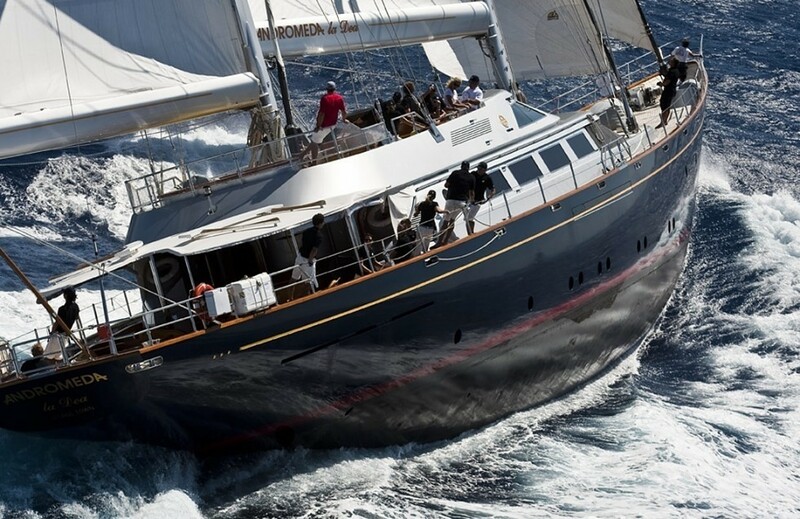 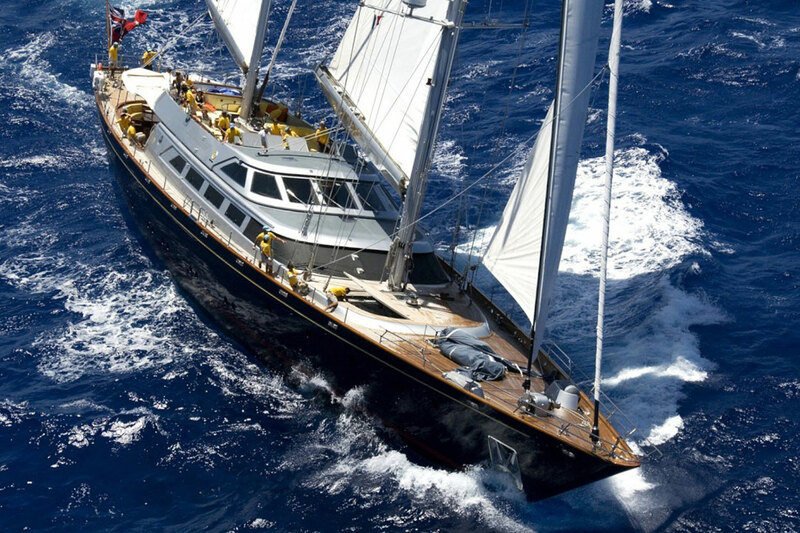 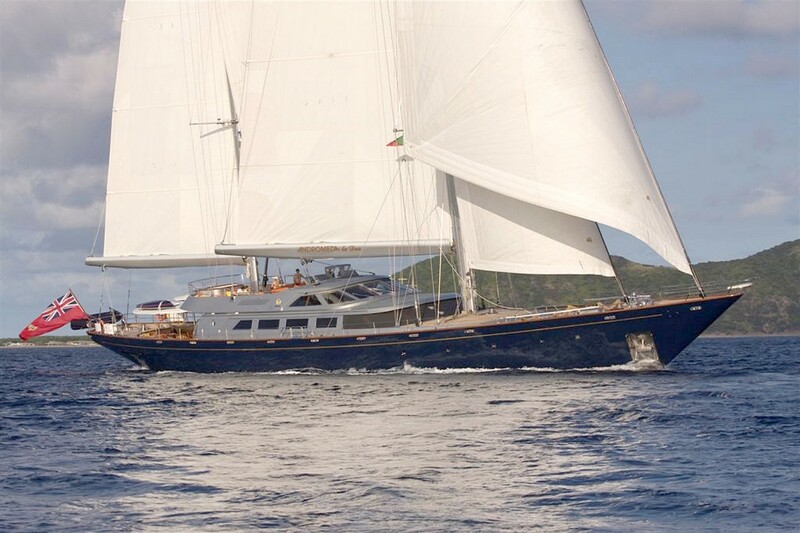 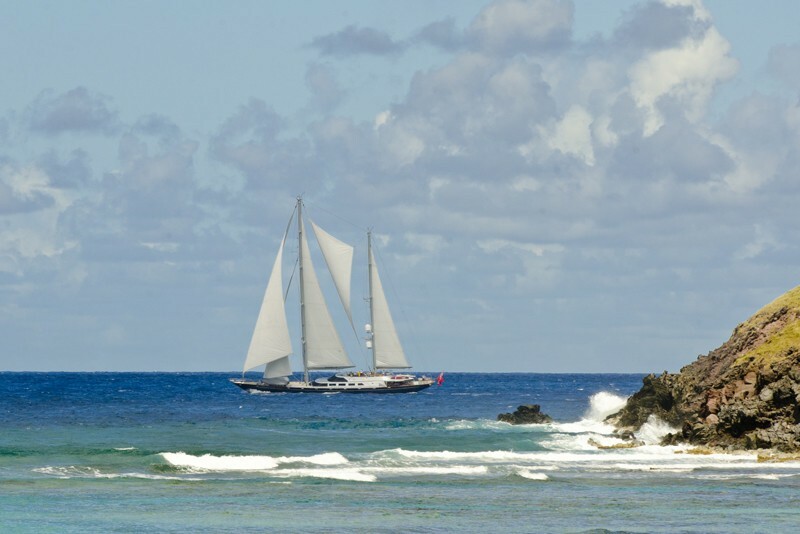 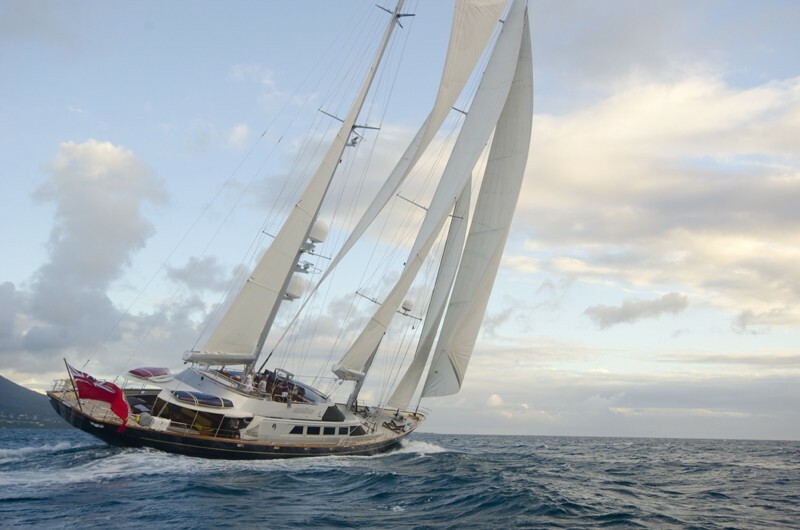 This 47 meter ketch was the first Perini Navi to circumnavigate the globe, took on the infamous “perfect storm” and has visited both the Arctic and the Antarctic in her distinguished career. 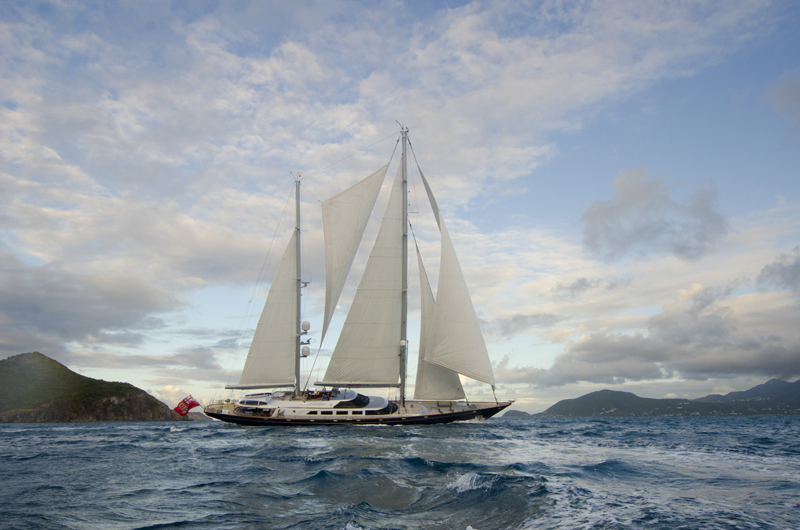 Completely up to date with two major refits, she continues her worldwide travels. 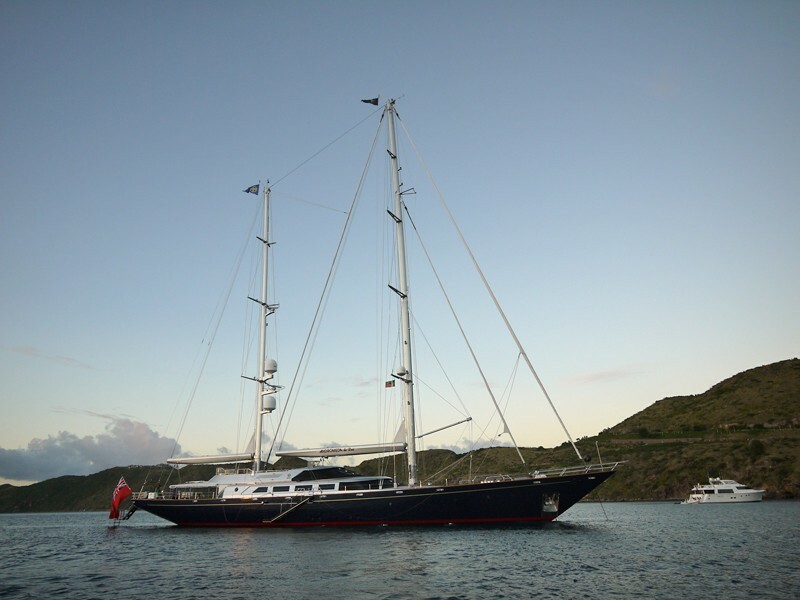 In her 2000 refit S/Y ‘Andromeda la dea’ received a new carbon fibre in-boom furling system, a new sail wardrobe, including fully battened main and mizzen sails, carbon foils on the foresail, staysail and fisherman, complete update of the sail handling system, installation of underwater lighting and complete overhaul or replacement of all major operating systems. 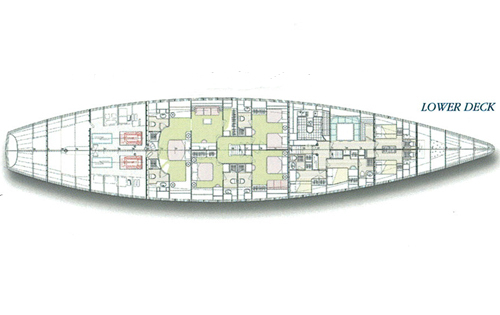 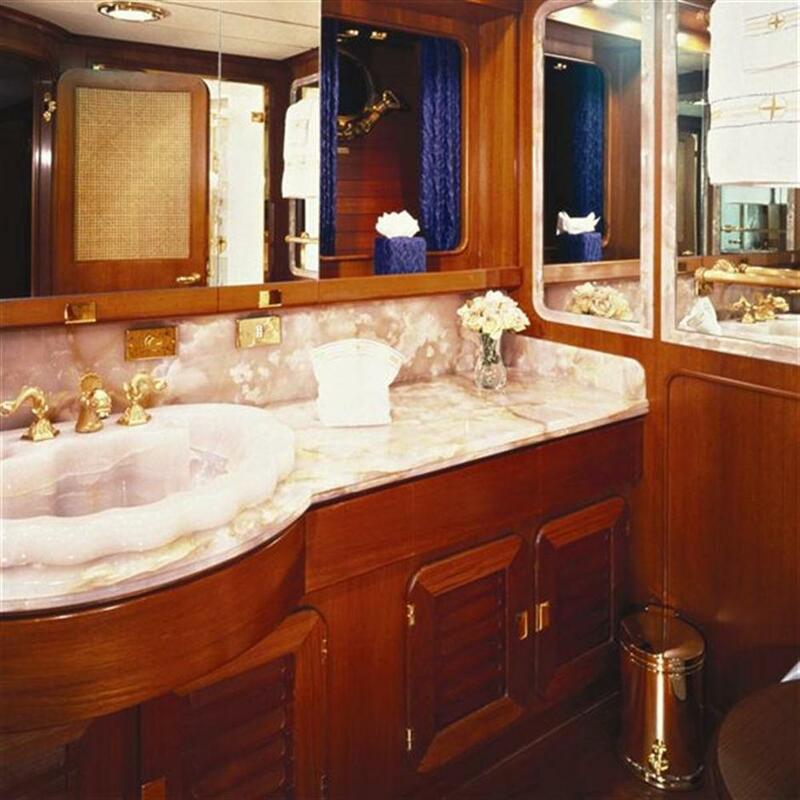 Further work in 2004 saw her fly bridge extended and a large custom designed spa tub installed, the complete replacement of all navigation, communication, audio and video systems with state of the art equipment, all worldwide, including on board wireless computer internet and e-mail access. 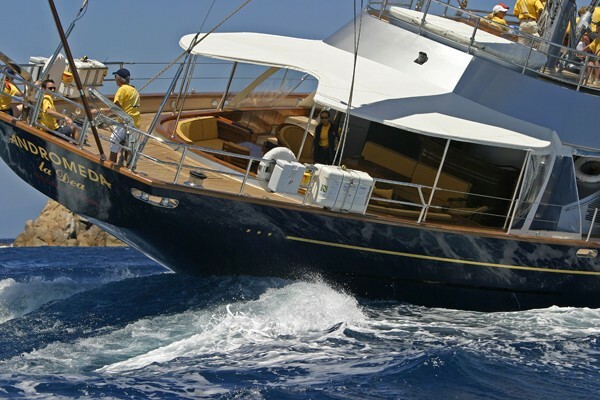 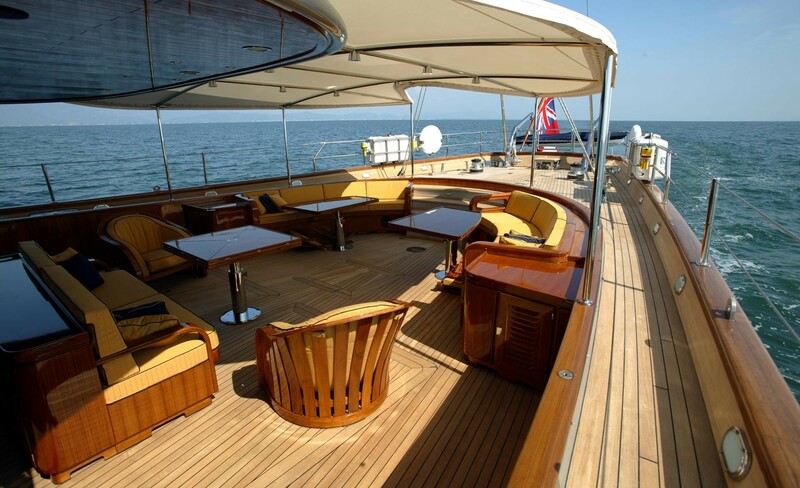 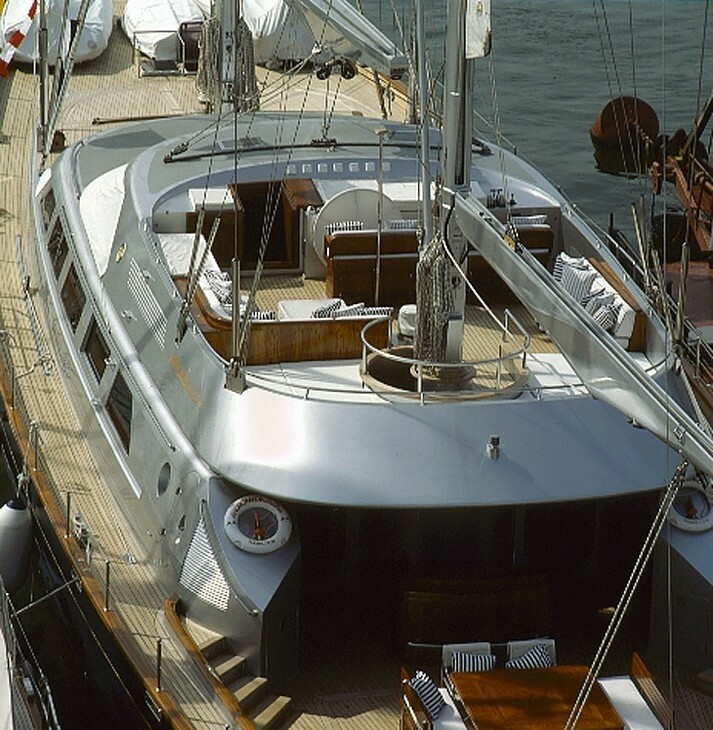 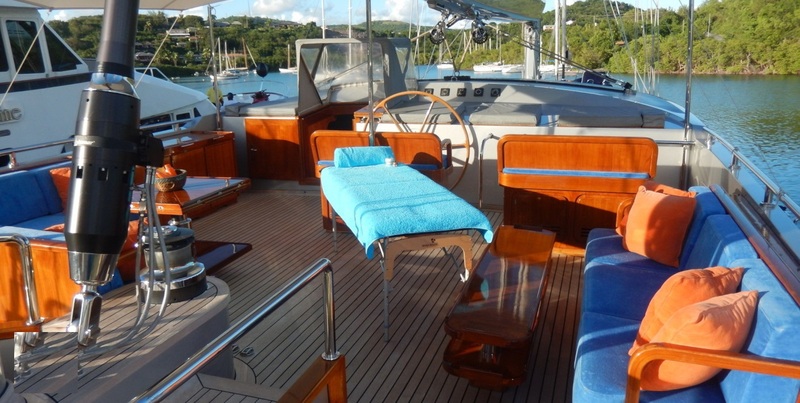 In 2010 - 12 charter yacht Andromeda la Dea aslo receivied another refit including all systems and exterior paint, fly bridge cushions, new Satelite TV system, mast pulled, new generator, new linens and towels. 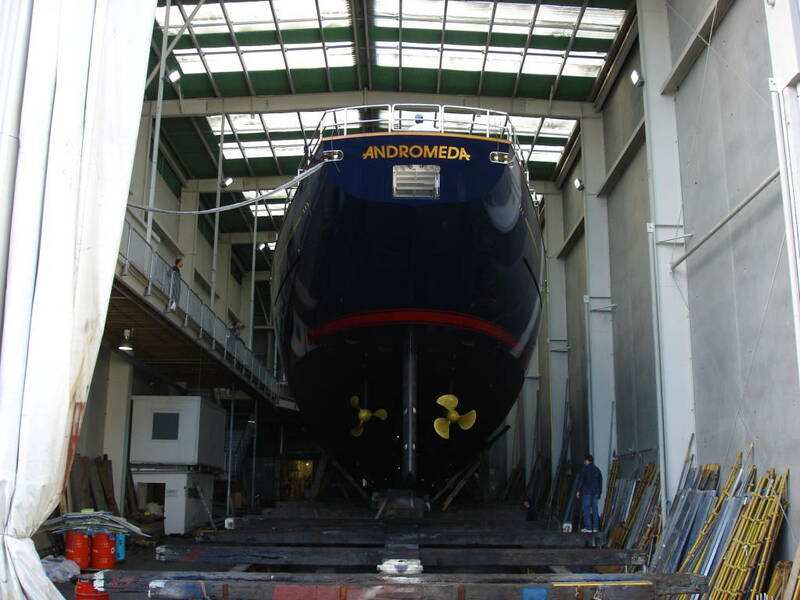 Annual maintenance and a rigorous refit program have kept Andromeda la Dea in "as new" condition. 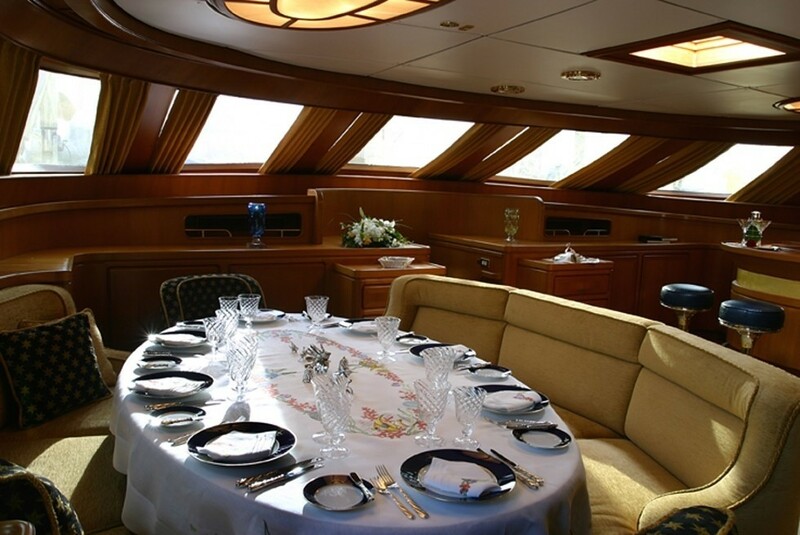 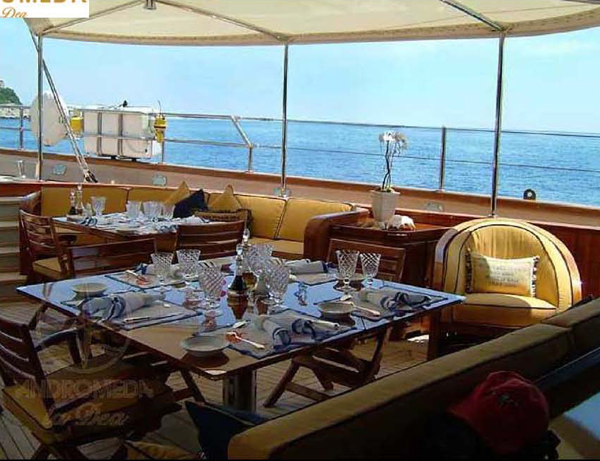 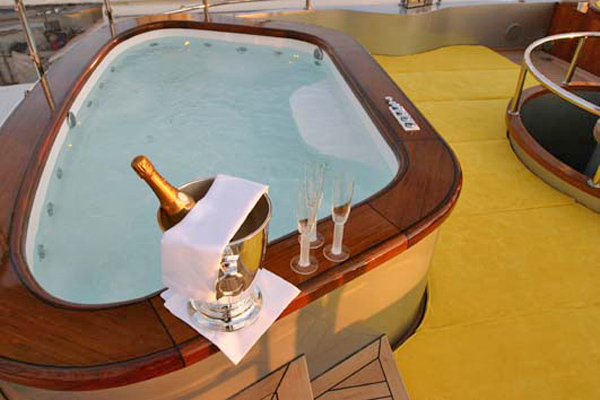 Yacht ‘Andromeda la dea’ boasts an interior offering uncompromising elegance with style and pedigree, the yacht has spacious accommodation for 9 guests comprising of a full width master stateroom with study and 3 further guest cabins of two double and one twin. 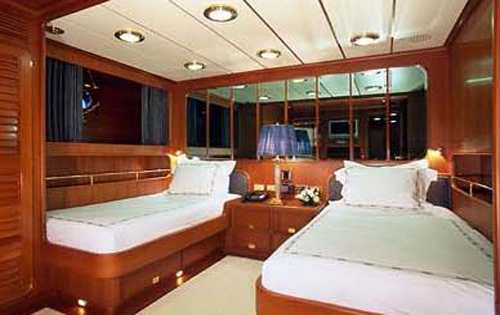 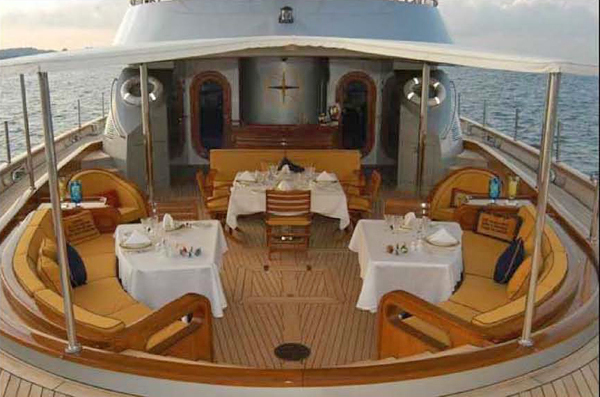 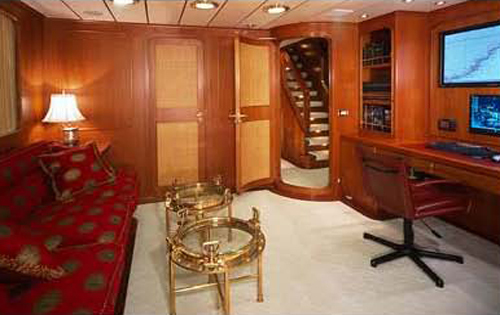 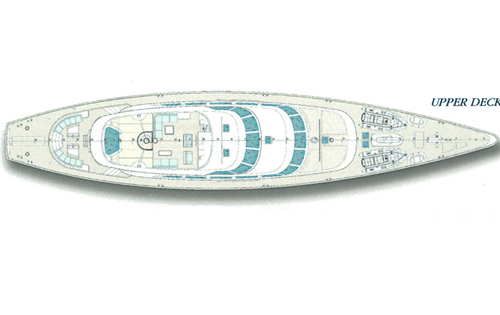 In 2004, the interior was completely re-done with new onyx in all the heads and the highest quality fabrics throughout. 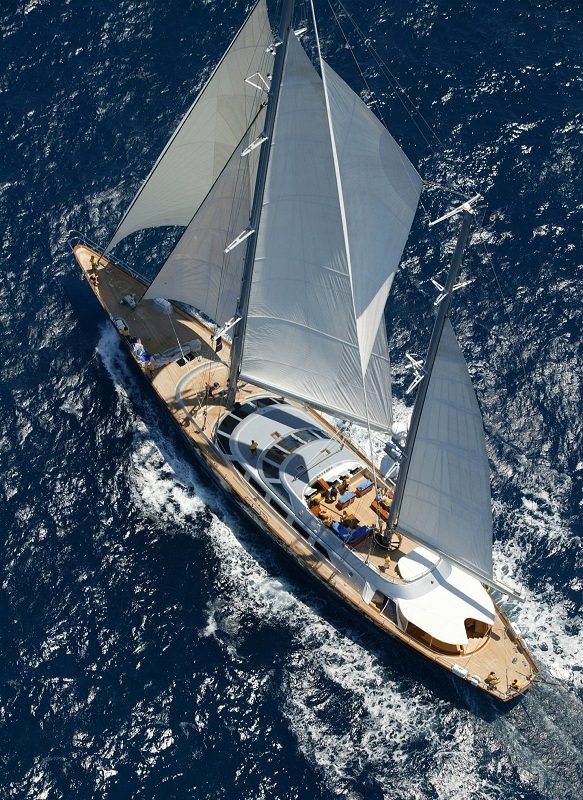 S/Y ‘Andromeda la dea’ is fully MCA compliant and ABS A-1 certified for worldwide ocean cruising, equipped with the latest technology. 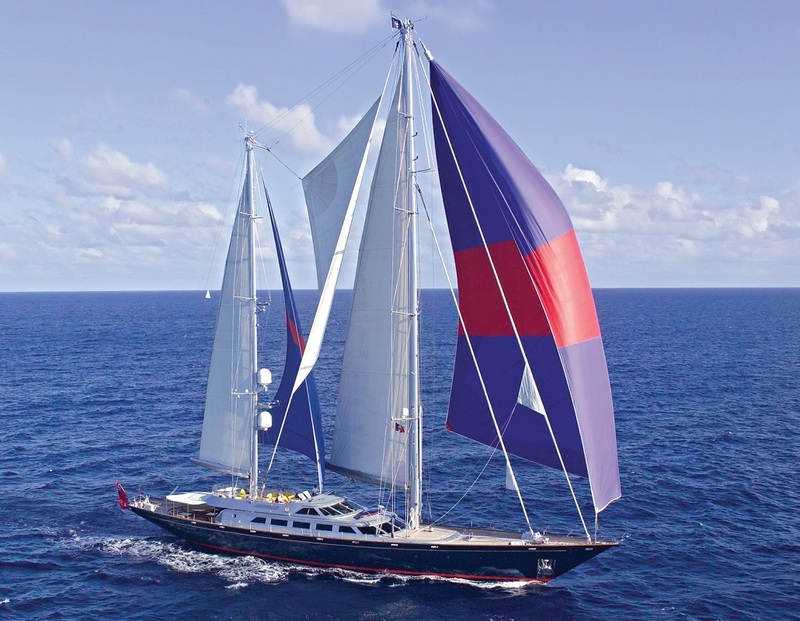 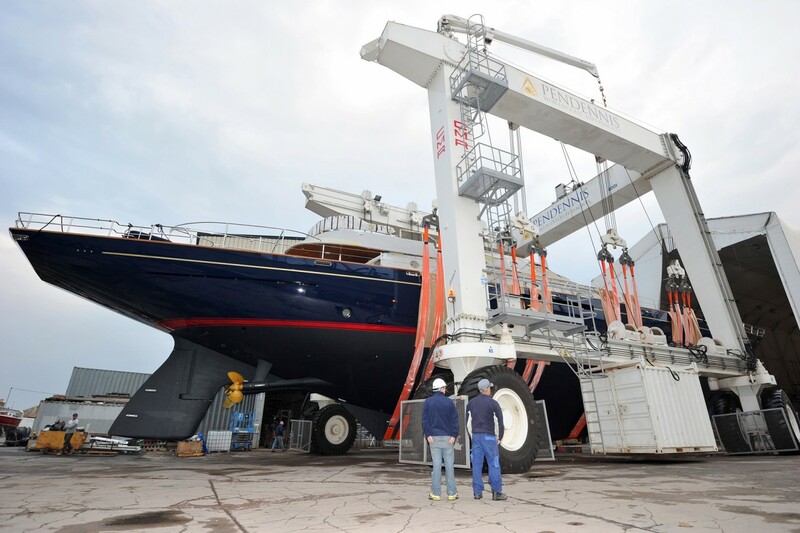 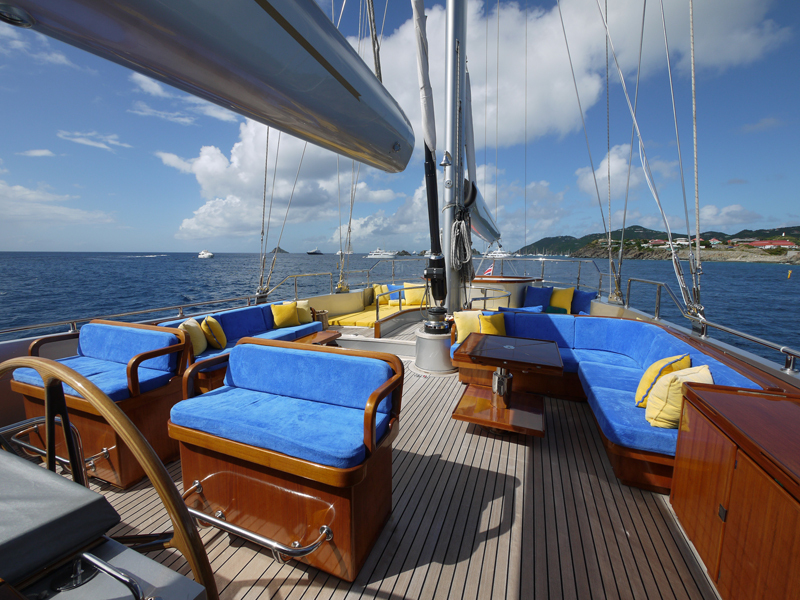 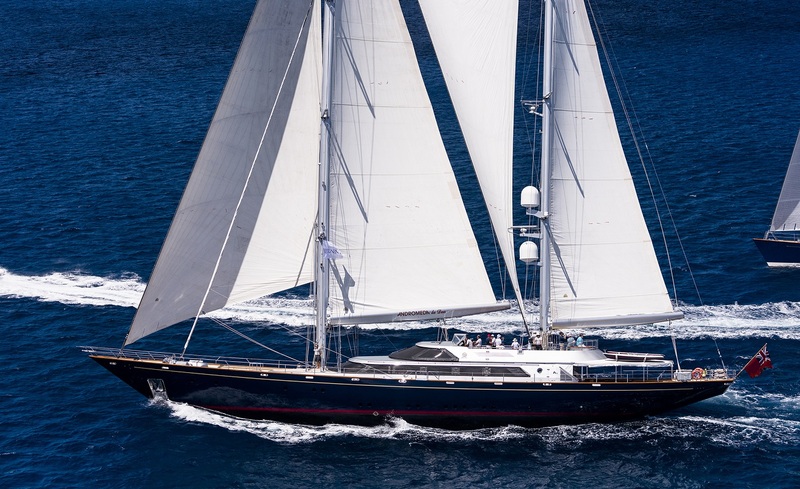 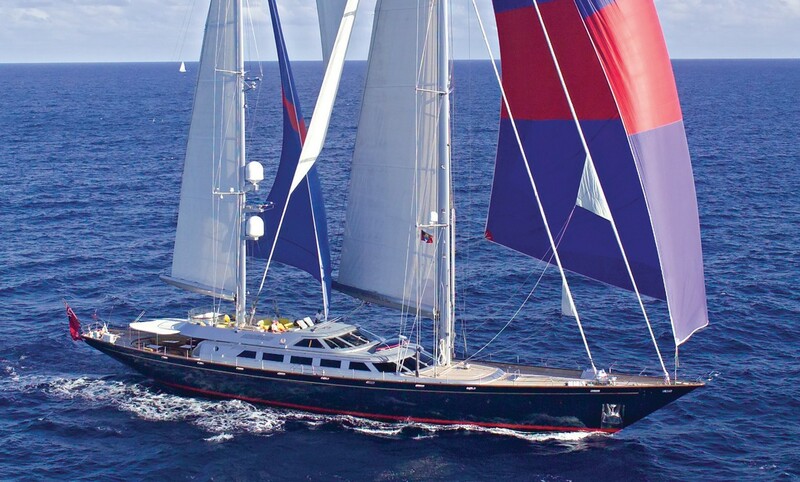 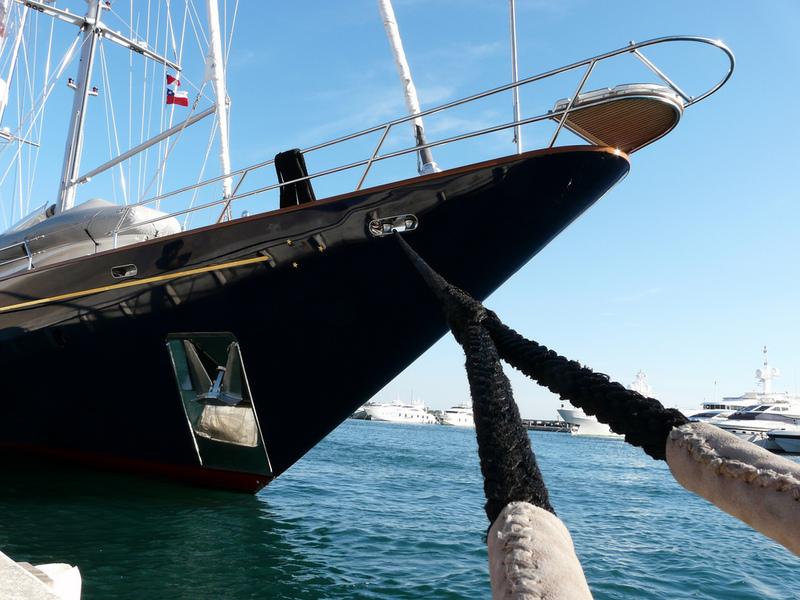 Nevertheless, despite these changes, great care has been taken to respect her heritage and tradition, ensuring that she remains one of the most beautiful Perini Navi in the fleet. 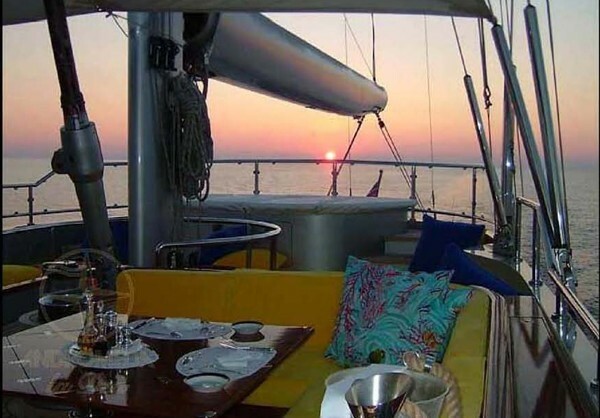 Luxury sailing yacht ‘Andromeda la Dea’ offers spacious accommodation for 9 guests comprising of a full width master stateroom with study and 3 further guest cabins of two double and one twin. 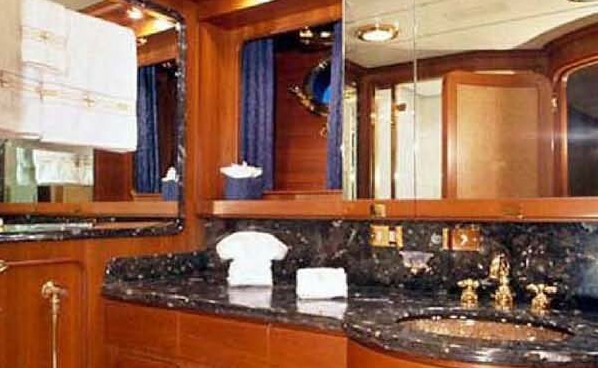 In 2004, the interior was completely re-done with new onyx in all the heads and the highest quality fabrics throughout. 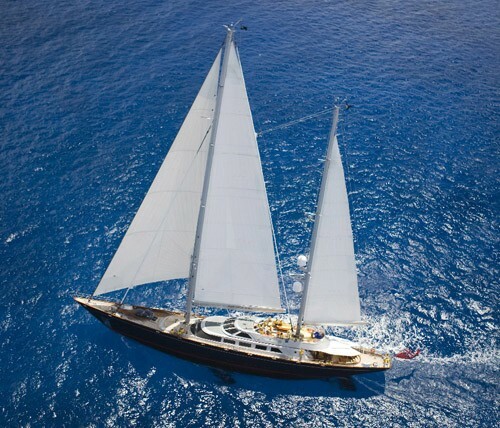 Luxury sailing yacht ‘Andromeda le dea’ Charters with the following amenities and extras”: Tenders & Toys 6m (17ft) tender with 130hp Honda four-stroke engine 5m (14ft) tender with 60hp Honda four-stroke engine Bombadier jet-ski –RXDXi supercharged Various water toys include: Fishing ,snorkelling, skiing, Laser sailing, Dive gear for four with certification. 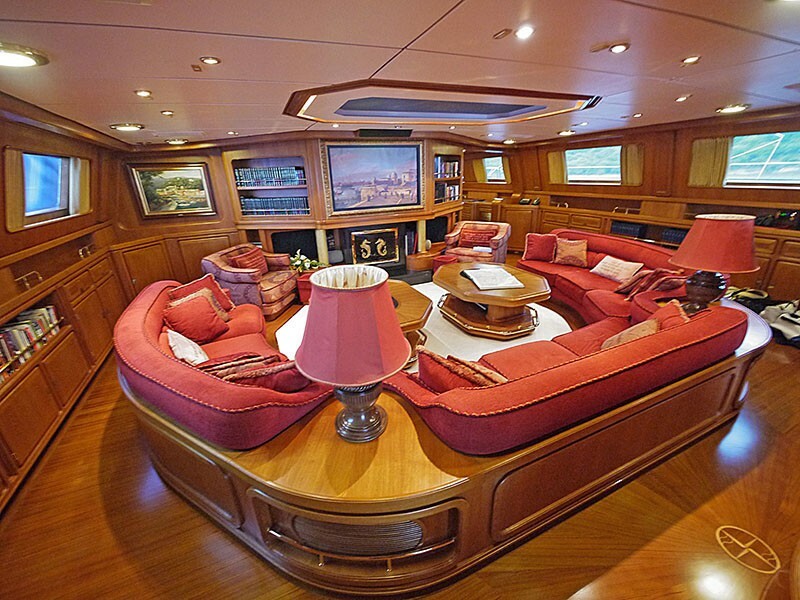 Audio Visual Equipment and Deck Facilities 50" plasma screen Crestron remote control Media Décor 5.1 digital surround sound Kivor digital music server Sony Playstation 2 Network computer Wireless enabled computers DVD players Sky, USA Direct and GLA satellite TV Bow underwater camera on screen. 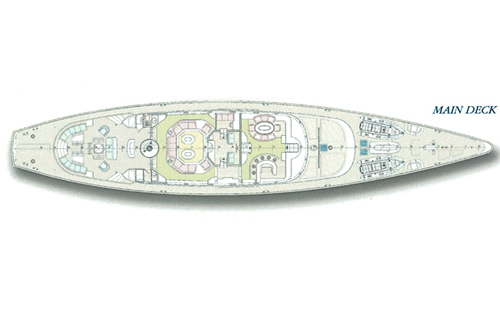 Communications 2 Radars AIS internet compatible (wired and wireless) computer network Transas charting system 4 new flat plotting screens Sat B and M satellite phones Fax capable Networked CCTV system Gyro Sat C Furino depth sounder Leica GPS system.